If you carry a handgun for self defense, you know the importance of having a reliable round in you chamber. 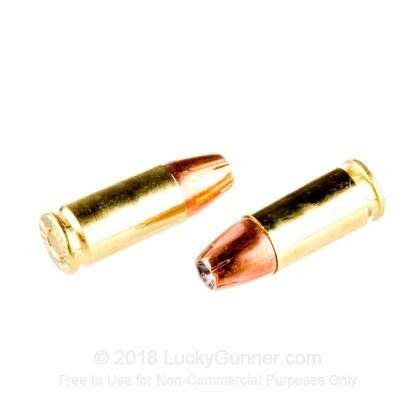 This Winchester 9mm ammo is exactly the kind of round you want at your side if the worst happens. 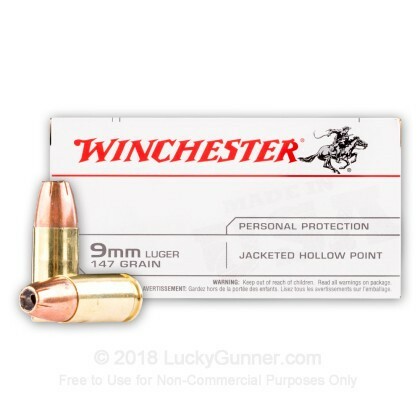 This 9mm Luger ammunition is part of Winchester's affordable line of self defense ammo. It has a heavy, 147 grain jacketed hollow point bullet which has a muzzle velocity of approximately 990 feet per second. 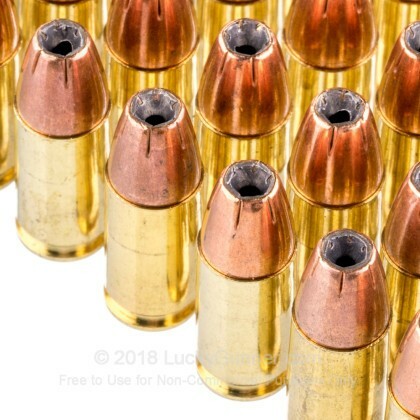 That velocity puts this round in the subsonic category of ammo; it still has plenty of power, but without the super-sonic boom associated with faster ammo. 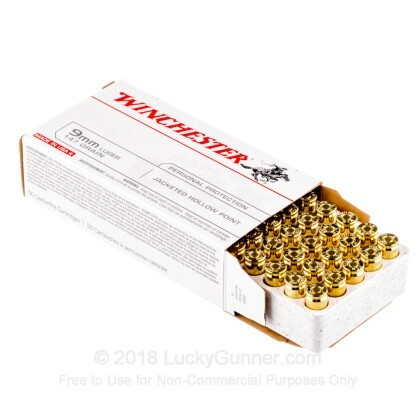 Winchester loads this round with reliable and non-corrosive Boxer primers and powerful smokeless gun powder, to ensure that every round fires, period. 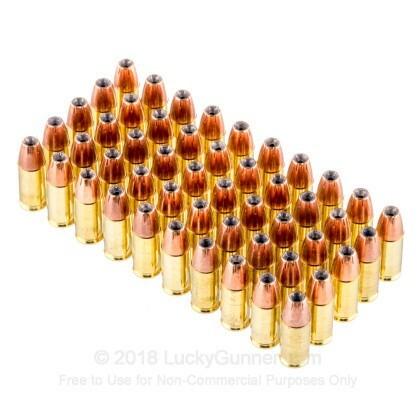 These bullets will have good expansion and weight retention if used for self defense, and it is sure to stop any threat in its tracks. Winchester produces fine quality ammunition for every shooting sport or self defense need. Whether you use 22 LR, 32 ACP, or 50 Action Express, Winchester has a round to fit your gun and your wallet. 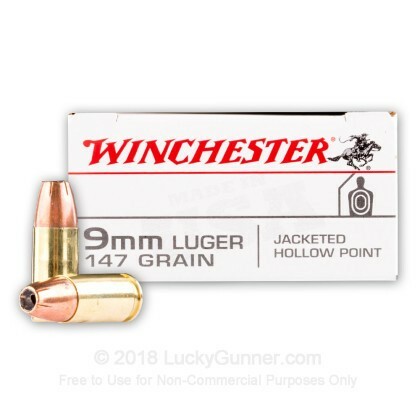 We also have this 9mm - 147 gr JHP - Winchester USA- 50 Rounds ammo in stock in a smaller quantity.